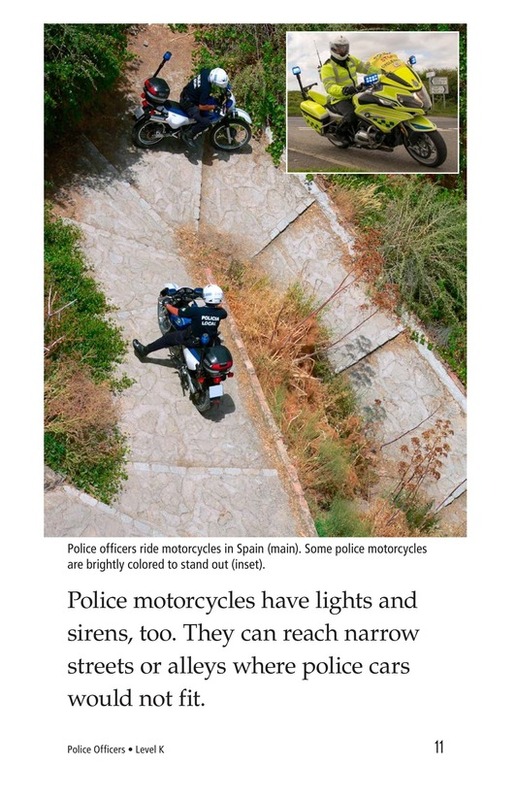 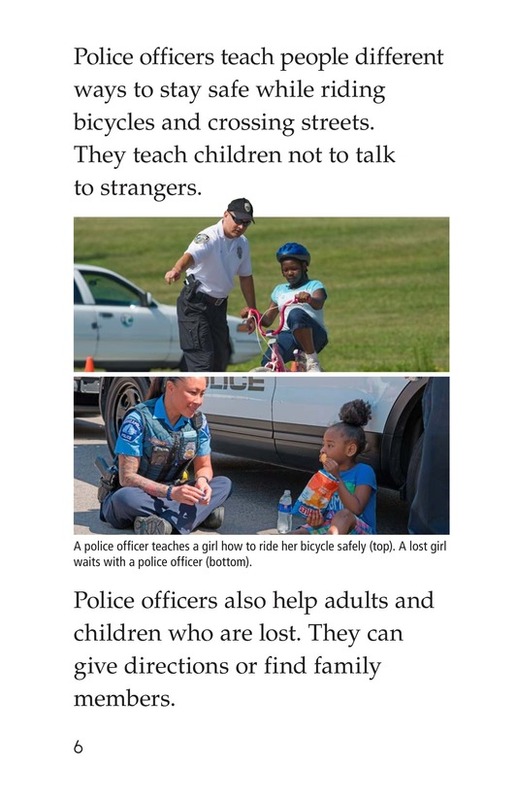 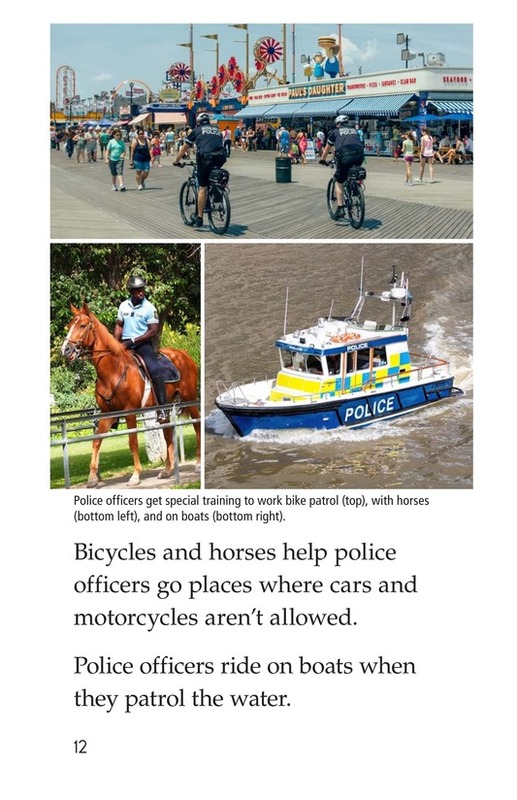 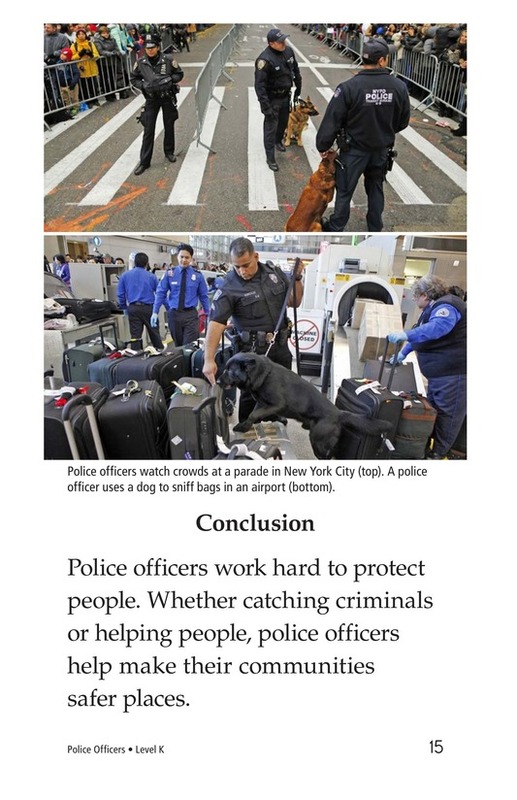 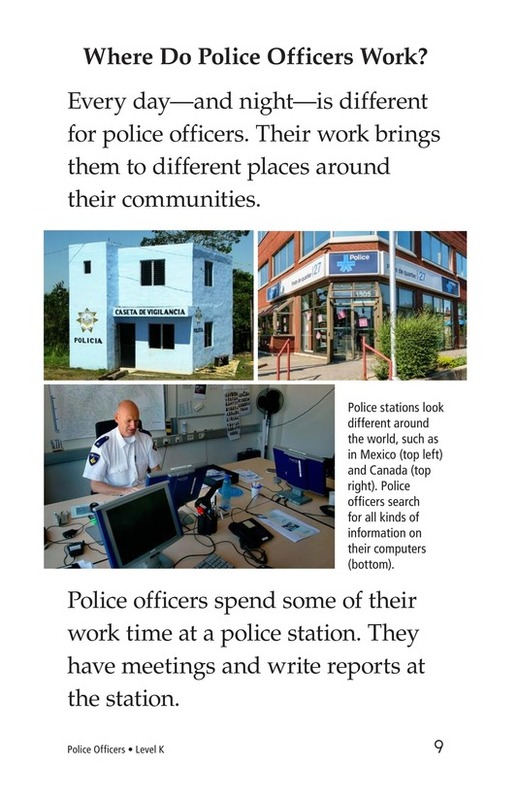 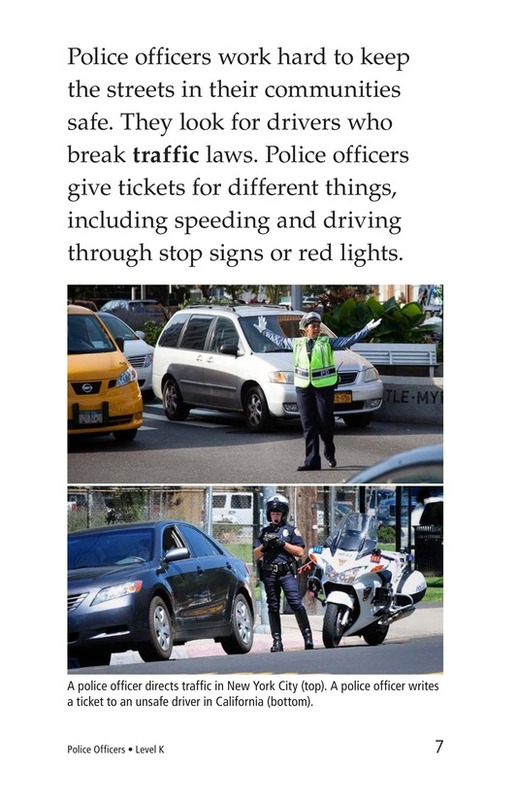 Police officers help keep people in their communities safe. 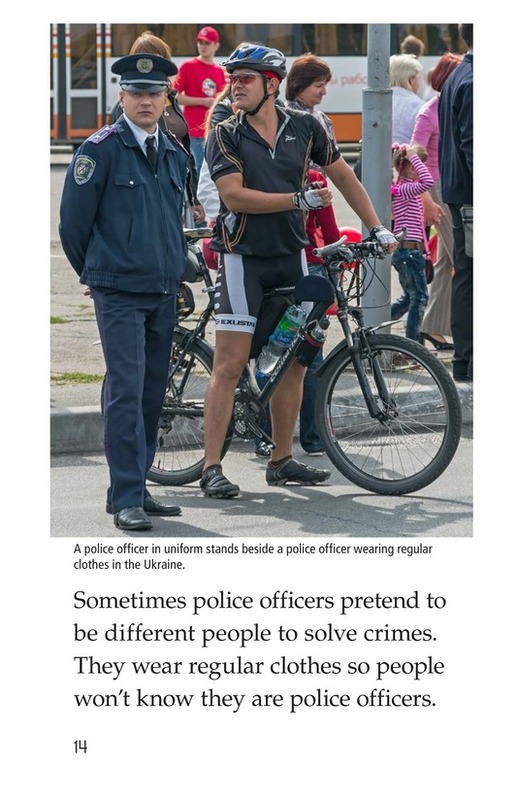 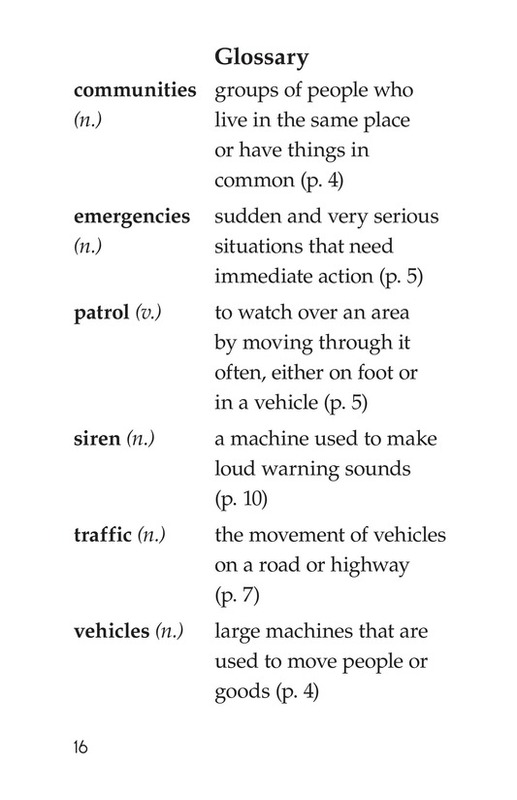 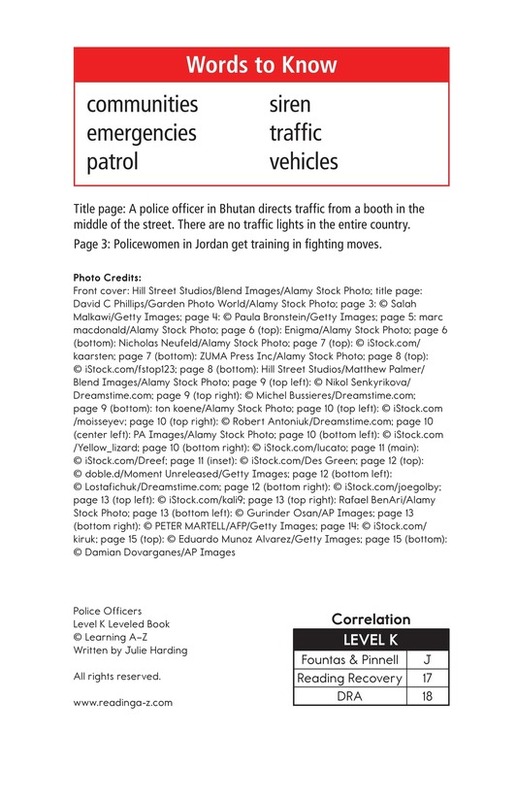 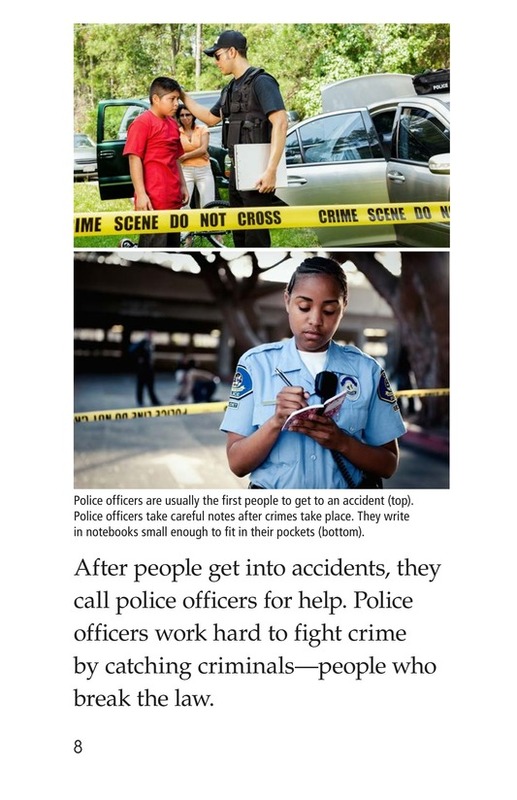 From helping people when they are lost to solving difficult crimes, police officers have an important job. 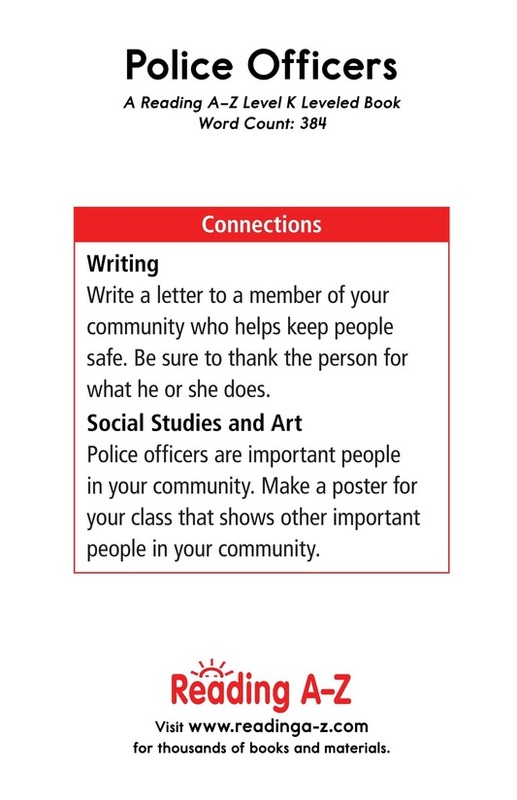 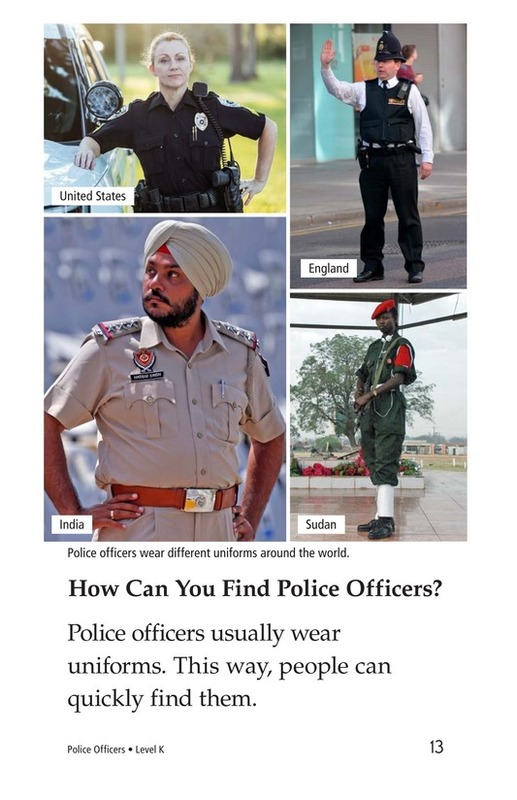 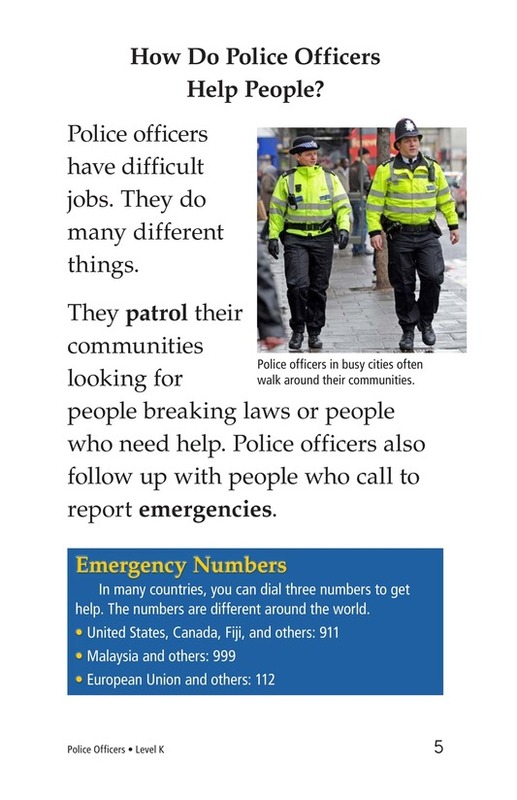 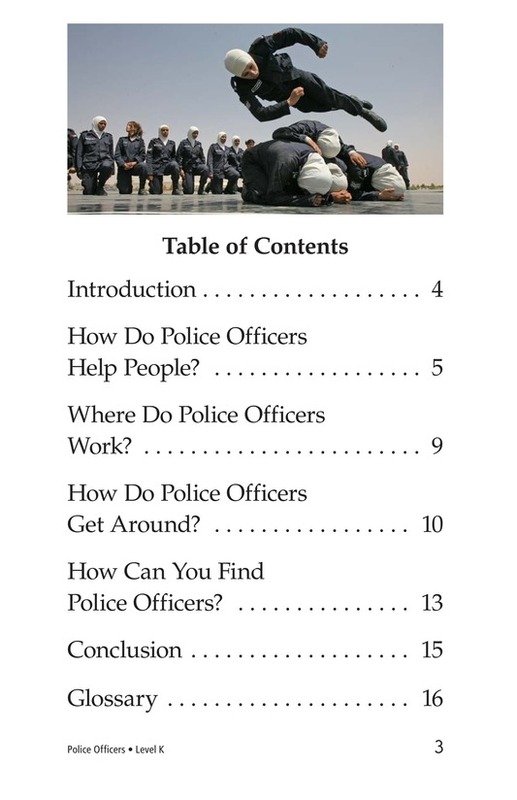 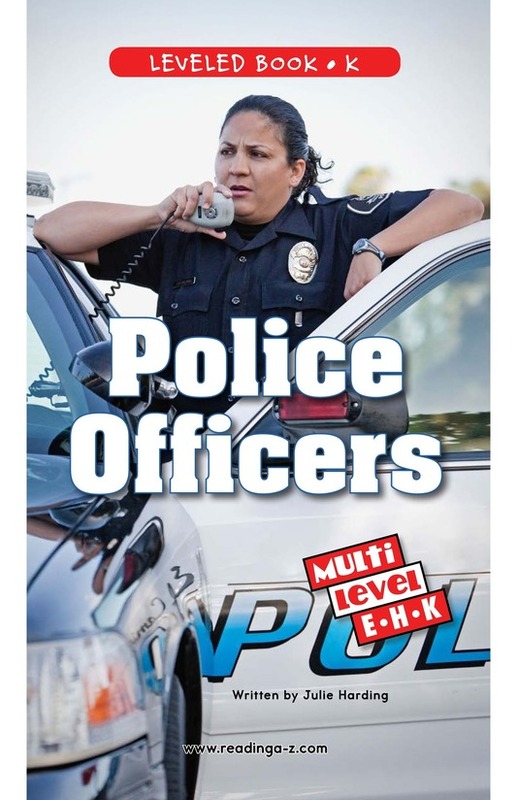 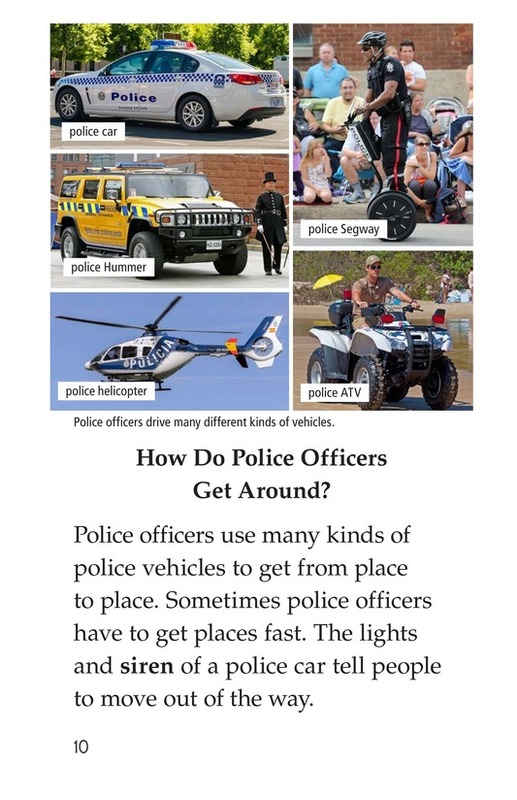 Police Officers is an informative book that introduces students to the many parts of being a police officer and serving communities. 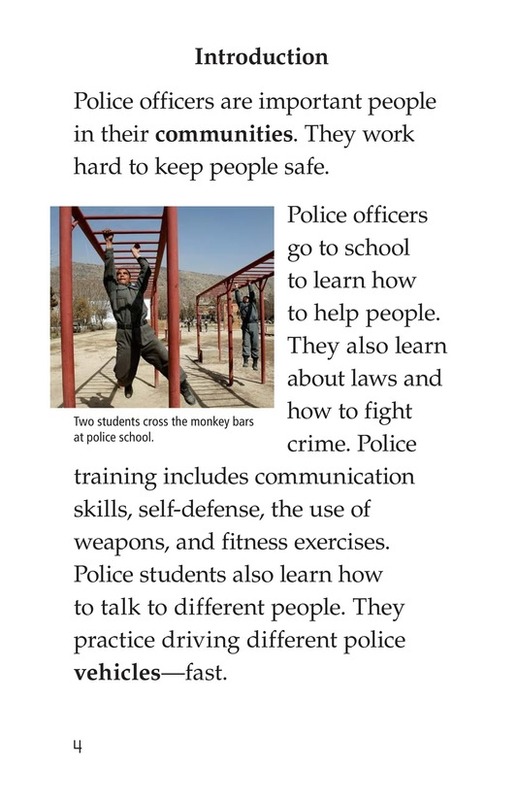 The book can also be used to teach students how to determine main idea and details as well as recognize and use simple sentences. 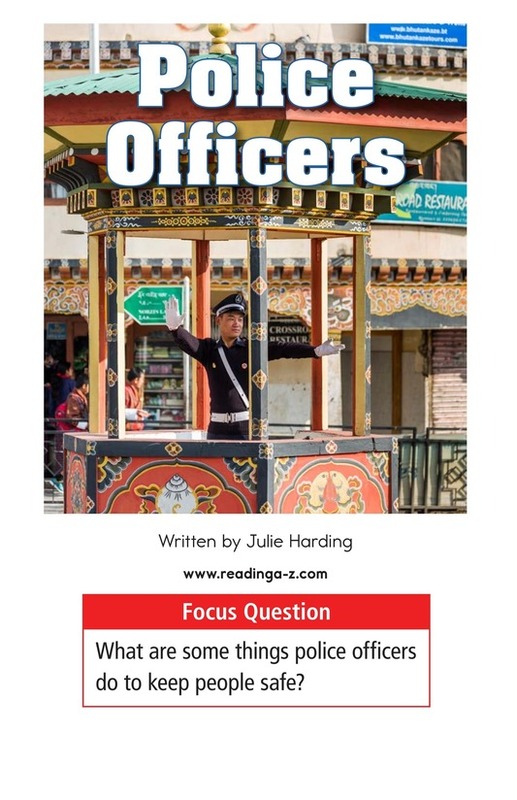 The book and lesson are also available for levels E and H.